In People v Lisa Lynne Bergman, the defendant was convicted of two counts of second degree murder, drunk driving, and operating a motor vehicle with a suspended license causing death. The trial court allowed prior actions taken by the defendant when she either drove unsafely, was passed out in her car, or was involved in an accident while impaired or under the influence of prescription substances, or in the possession of pills like Vicodin and Soma. The defense argued that these prior acts were prejudicial to the defense and should not be admitted into evidence. The court decided that the, “evidence was properly admitted to show the defendant’s knowledge and absence of mistake, and was relevant to the malice element of second degree murder because it was probative of the defendant’s knowledge of her inability to drive safely after consuming prescription substances.” The court determined that the prior acts were minor in comparison to the charged offense, and the probative value outweighed any prejudice. So, the defendant’s prior bad acts could be used to bolster the prosecution’s case against her in the current charge. In order to keep the prosecution from being able to use prior bad behavior against you, a highly skilled lawyer must make well planned, well prepared and to-the-point arguments to the court. The judge must be convinced that to hear the prior bad acts evidence would cause an unfair trial or a violation of due process rights. Convincing a judge to rule against a prosecutor is often difficult to do, which is why you need the award winning, highly successful attorneys of LEWIS & DICKSTEIN, P.L.L.C. in your corner and working on your behalf. LEWIS & DICKSTEIN, P.L.L.C. is the “go to” law firm for felony and misdemeanor charges. Call us – we can help. LEWIS & DICKSTEIN, P.L.L.C. is a law firm that takes great pride in being able to take the most difficult legal issue and win for its clients. The firm’s attorneys will leave no stone unturned to make sure that a person’s legal rights are protected. The attorneys that work at LEWIS & DICKSTEIN, P.L.L.C. are all award-winning and top in the field of criminal defense attorneys. The firm’s attorneys have held judicial staff positions and are regular speakers at legal seminars. Our attorneys teach other lawyers. 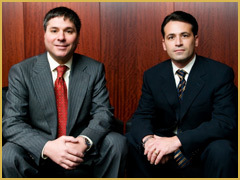 The firm’s attorneys have successfully won cases in state and federal court’s throughout the United States. The firm takes its obligations to its clients very seriously. If you are facing any criminal law issue or question, please contact the law firm of LEWIS & DICKSTEIN, P.L.L.C. 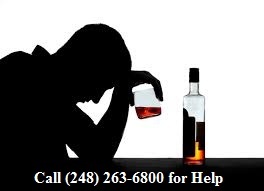 at (248) 263-6800 or complete a Request for Assistance Form and one of our attorneys will contact you.